Today’s economy isn’t very friendly for the pickup driver, but many people’s professions don’t allow them to switch vehicles. If you’re currently driving around a gas guzzler, there are five tips to follow in order to reduce your pain at the pump. Or, at least, double check your trunk and make sure you’re not carrying too much junk in the trunk. According to government studies, reducing your load by one hundred pounds increases your gas mileage by more than two percent. Remember way back when, in the distant 80’s, that the President reduced the speed limits on national highways to 55 mph? The move annoyed interstate truckers, but it reduced lines at the pump. It turns out 55 mph is the ideal speed to travel in order to get the most mileage out of your vehicle. 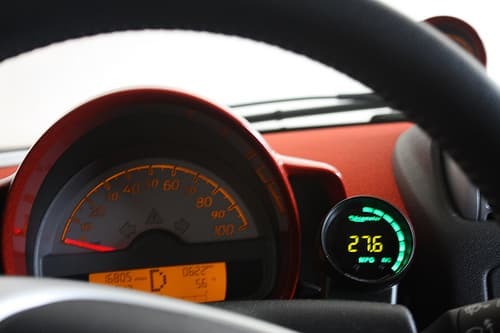 That doesn’t mean you need to move like a snail in the far right lane on the highway, but try not to go over the speed limit unless you have to do so. Studies show that every five miles you go over 50 translates to roughly twenty-five cents more a gallon. And that figure probably isn’t decreasing any time soon. Racing to cut off the jerk who wouldn’t let you merge might feel good in the short-term, but driving aggressively is dangerous and can waste your gas by 30%. This is the easiest way to save money: just relax. If relaxing is not your forte, just remind yourself that the girl who moved like a ninja in order to steal your parking spot is spending way more on gas than you. So you couldn’t come up with an excuse not to pick up your aunt’s brother’s cousin at the airport? First, you should have pleaded jury duty, and second, park in a call waiting area and shut off your car. Letting your car engine idle can waste a quarter gallon’s worth of gas every hour. Are you using air conditioning? Idling with the air conditioning on can waste half a gallon. If you frequently travel on the highway, using cruise control can help you maintain a constant speed, which will save money. Just don’t forget to monitor speed limit signs while you cruise along, or your money saving endeavor might cost you a speeding ticket.